Neko Harbor, named for a Norwegian whaling boat, the Neko, discovered by Belgian explorer Adrien de Gerlache in the early 20th century. is an inlet on the Antarctic Peninsula on Andvord Bay, situated on the west coast of Graham Land. Neko Harbor is home to a small colony of Gentoo Penguins. 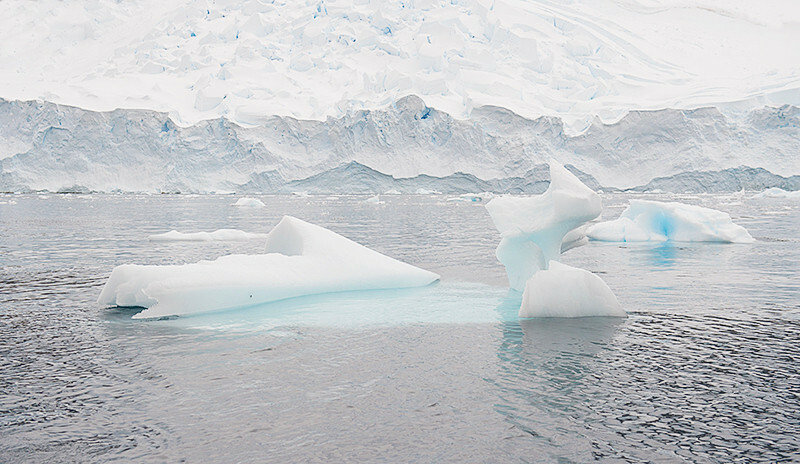 Small icebergs in Neko Harbor, an inlet on the Antarctic Peninsula on Andvord Bay, situated on the west coast of Graham Land.